This week has been an exciting one for us Android geeks, what with the stable release of Pie and all. For some (including me), however, that enthusiasm for the latest version of our favorite mobile OS was a bit tempered. See, the update messed with our Gear devices (S2, S3, Icon X) and now they won't connect — though, some people are saying their stuff is fine. Thing is, this has been a known issue since at least Developer Preview 2 several months ago, but Samsung says it's working on a fix. If you look on Reddit or XDA, you'll find some users complaining about the problem. 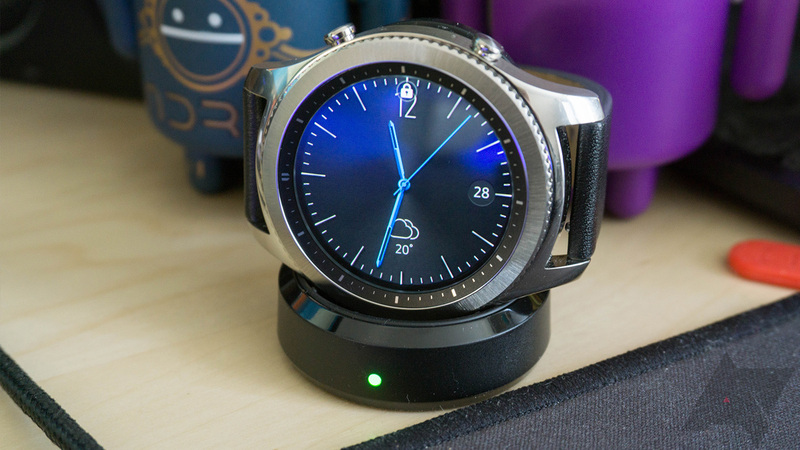 For me, everything was fine following the Android update until I opened the Gear Manager app, which promptly crashed (forced my Pixel 2 XL to reboot) and my Gear S3 would no longer connect after my phone recovered from the incident. After some odd behavior with the app refusing to uninstall and failing to reinstall several times, I got to the setup screen only for it to crash every single time I selected my watch from this list of available devices. We're deeply sorry for the inconvenience. There will be an Samsung Gear app update for P OS and we're trying hard to release update version as soon as possible. Thank you for your patience. In the meantime, if you're in the same boat as me, you have three options: 1. leave your watch as a paperweight until this finally gets addressed, 2. downgrade back to Oreo until you hear the all-clear, or 3. use the modded apks for your device from user Jackz314 to temporarily fix the issue. I haven't really had the motivation to follow through on the latter, but go ahead and give it a try if you feel so inclined. Just hit up the XDA source link below. If everything is working for you, don't open the Gear Manager app; that seems to be what severs the connection, both from my experience and what others are reporting. Shame on you, Samsung, for not having this fixed for the final release of Pie. You've had more than enough time to do so. If I still ate cereal, I would have spit it all out in an epic and surprised fashion this morning. Lo and behold, Samsung actually fixed the problem. After Gear Manager updated to v2.2.21.18080361 (and changed its name to Galaxy Wearable) on my Pixel 2 XL running Android 9 Pie, I could get through watch setup without the app crashing. I reset my Gear S3 and managed to get through the connection steps like normal; there was even a software update available for the watch once everything finished up. If you haven't gotten the new version of Gear Manager/Galaxy Wearable, try grabbing it from APK Mirror and give it a whirl.